Part of the Microsoft office suite of tools, PowerPoint is a slideshow presentation program that makes it easy to create, collaborate, and present ideas that are visually captivating. PowerPoint Online is a cloud-based version of this presentation software. 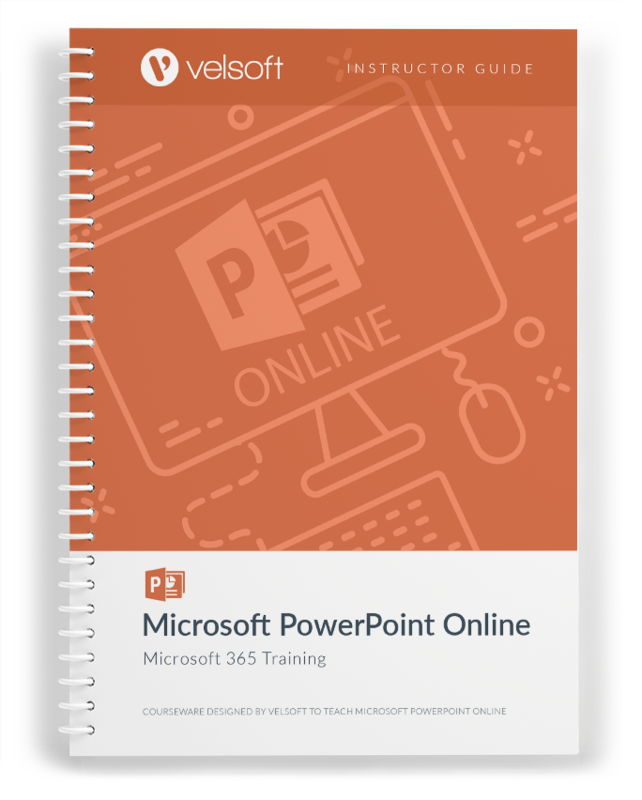 This course is intended to help all users to quickly become familiar with PowerPoint Online. By the end of this course, students should be comfortable using PowerPoint Online to create a presentation with various features. 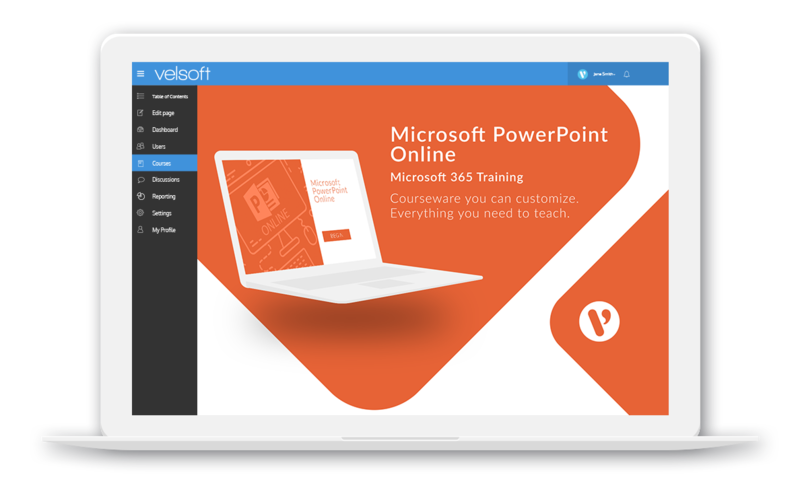 All Velsoft training materials are fully customizable to suit your content needs. Try a free sample now!. 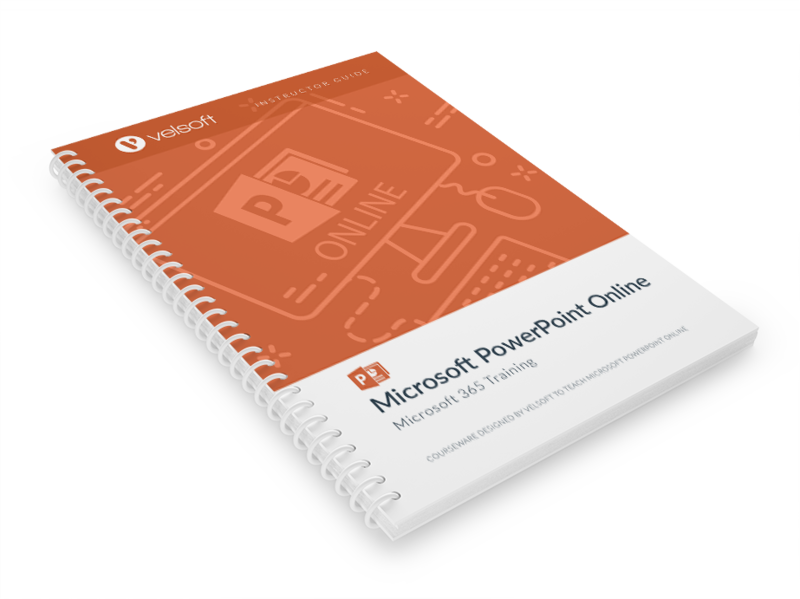 Microsoft PowerPoint Online is one-day course that provides your students with a comprehensive overview of the knowledge and skills need to ensure the viability of businesses in today's world. The course material applies equally to product and service-based enterprises.